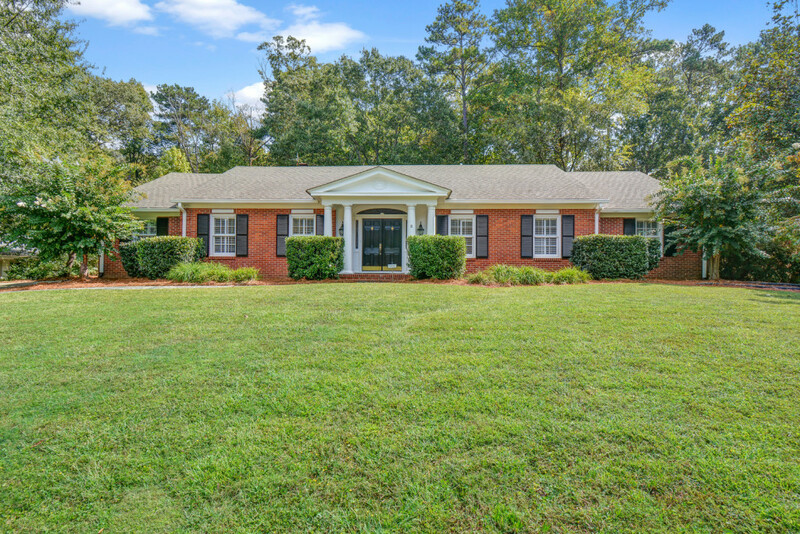 Beautiful all brick traditional home with wonderful curb appeal on a gated and fenced neighborhood lot one block from Morris Brandon Primary School and the back gate of Westminster. This home has been lovingly maintained has a master, two secondary bedrooms, and two full and one half baths on the main floor. There is a large eat-in kitchen open to a vaulted ceiling family room with fireplace, a separate den with fireplace, formal living room, a separate dining room that seats 12+, and hardwoods throughout. There is a fourth bedroom upstairs and tons of walk-in storage that could easily accommodate and expansion. There is a partially finished terrace level with laundry room, bonus room, and full bath. The private backyard features a detached two-car garage and workroom, large slate patio, playset, and is fully gated and fenced. This is a fabulous family home.